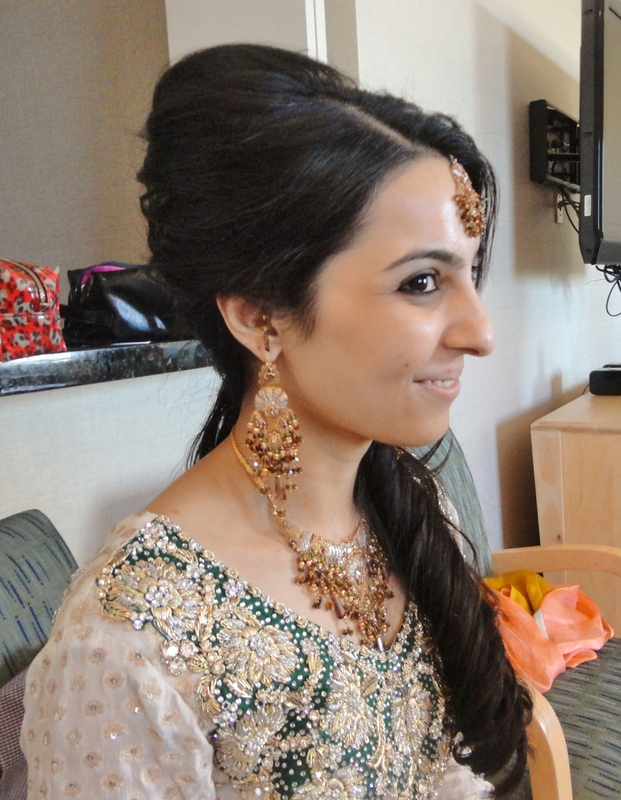 This past weekend, I got the pleasure of being a part of a special day for Sadaf! 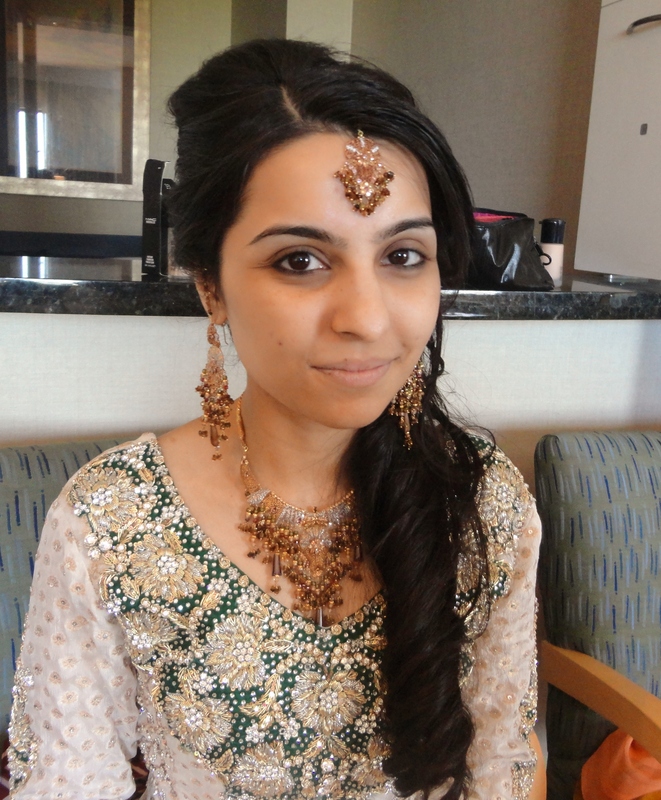 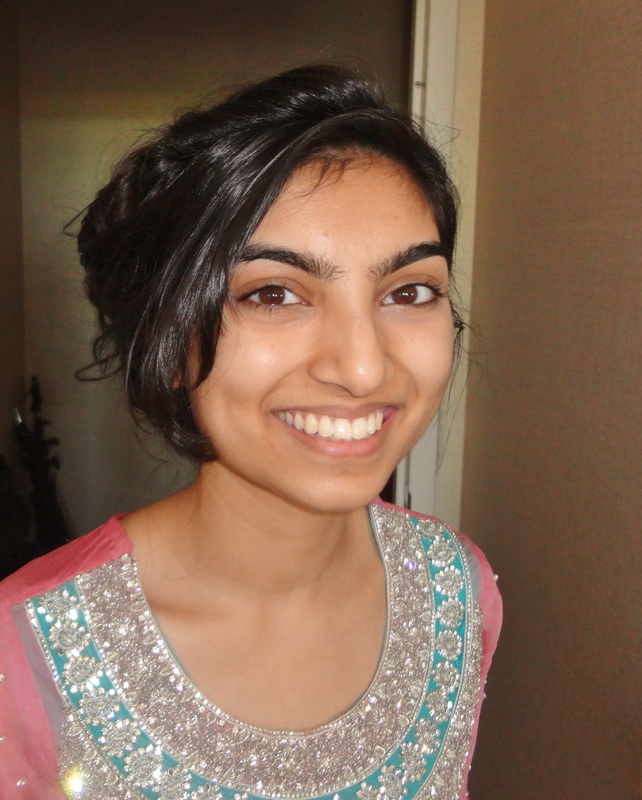 I was contacted by her sister in law, Nabihah back in the beginning of April while she was planning the big day. 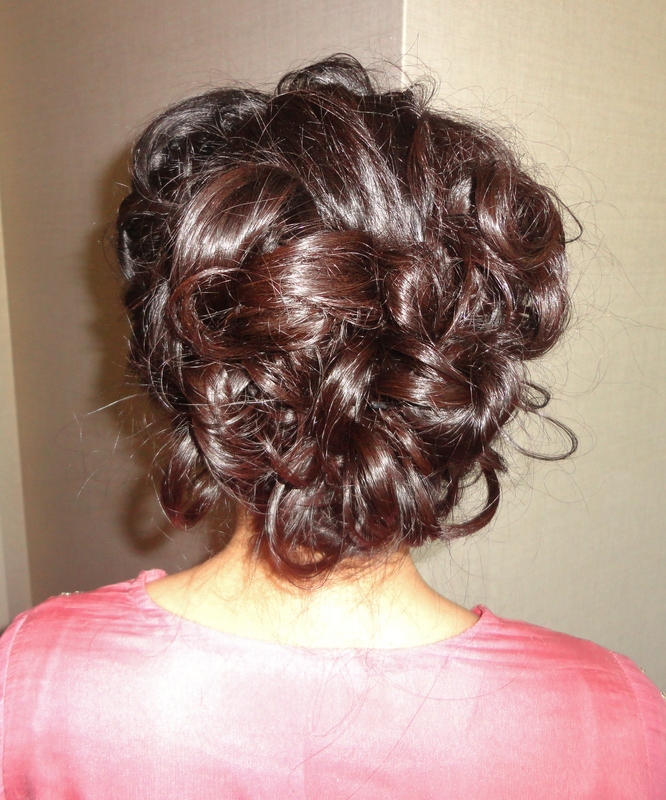 I got to style for several members of the family. 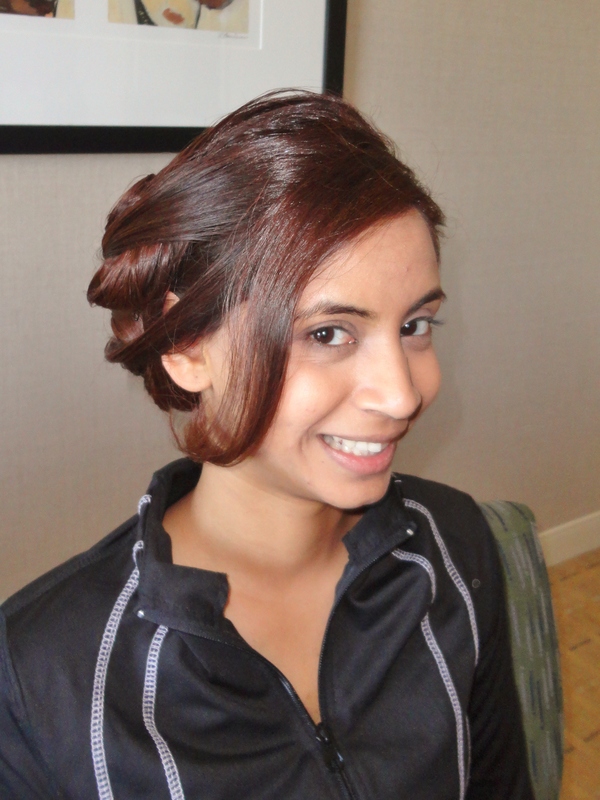 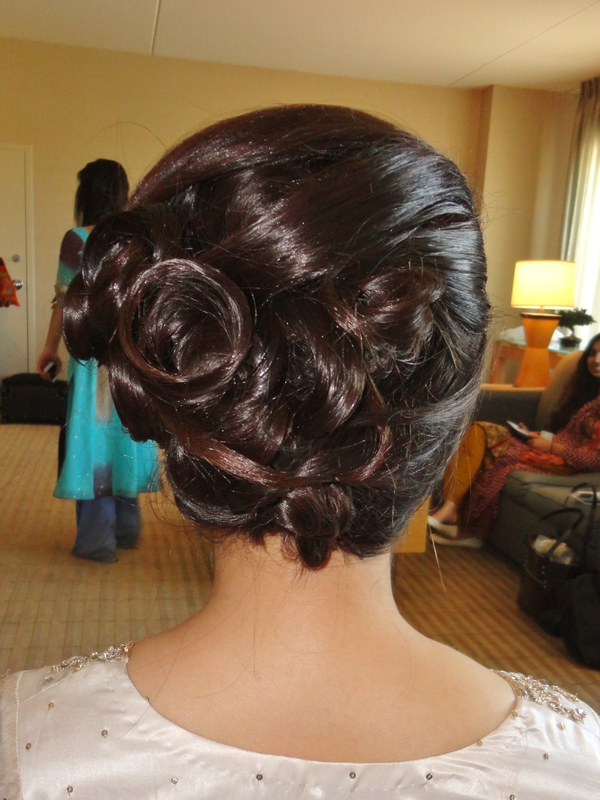 For Sadaf herself, she wanted to wear her very long hair pulled to one side and down her shoulder in curls. 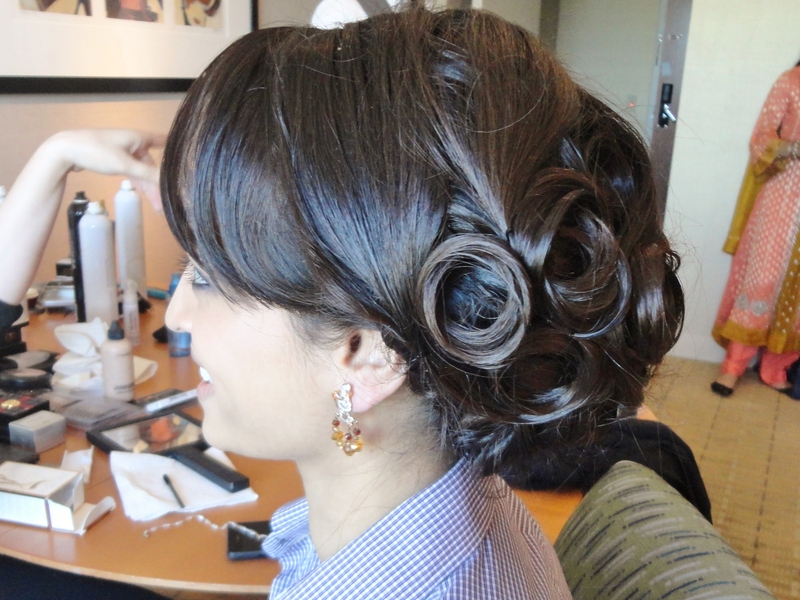 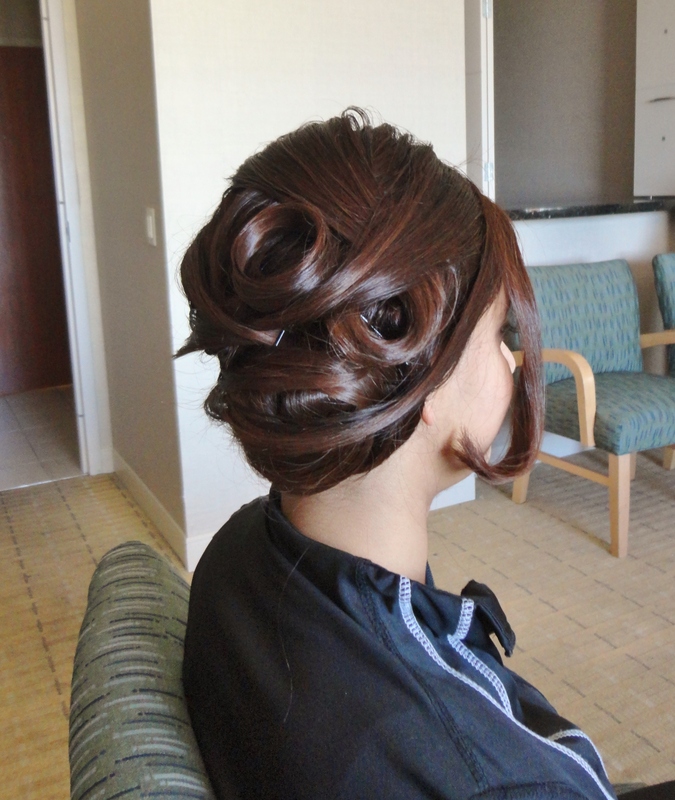 She needed lots of volume on top to help support her veil. 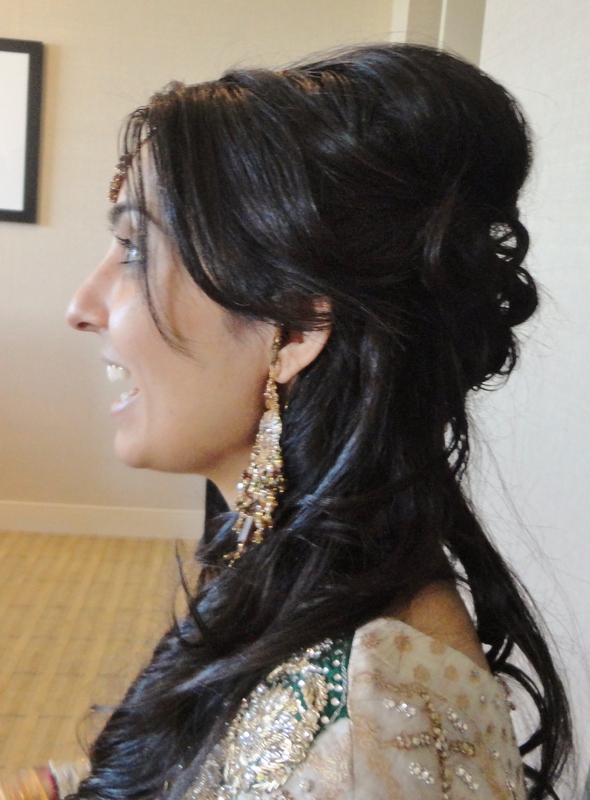 She also wanted to wear a side part with her Tikka. 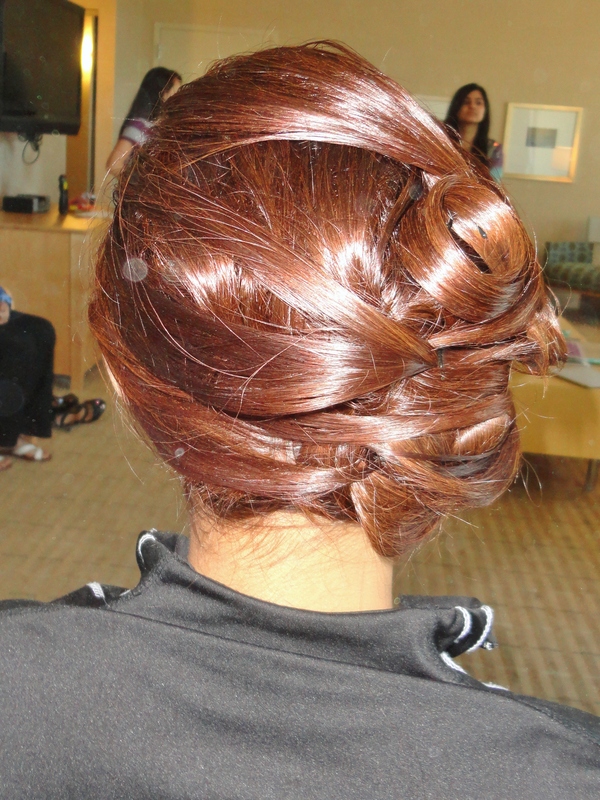 Here are a few more photos of the styles I got to do for Sadaf’s family. 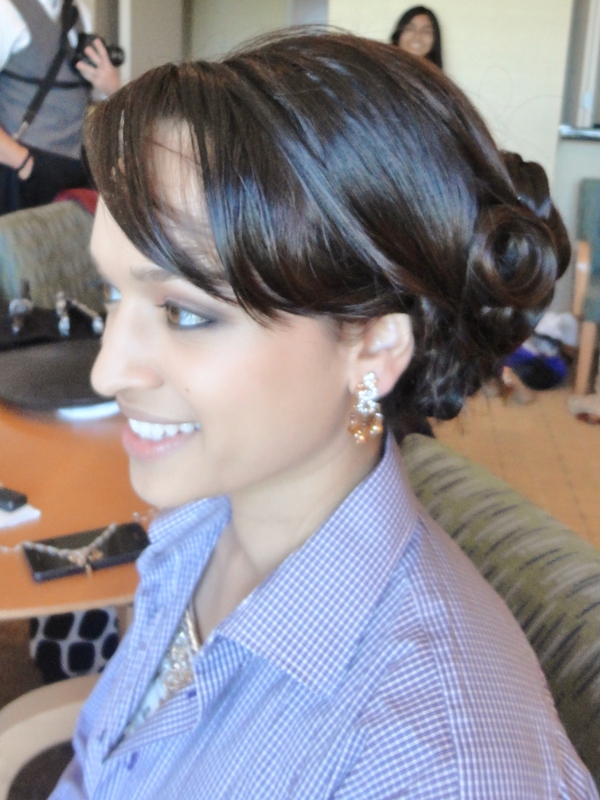 Overall, it was a great day. 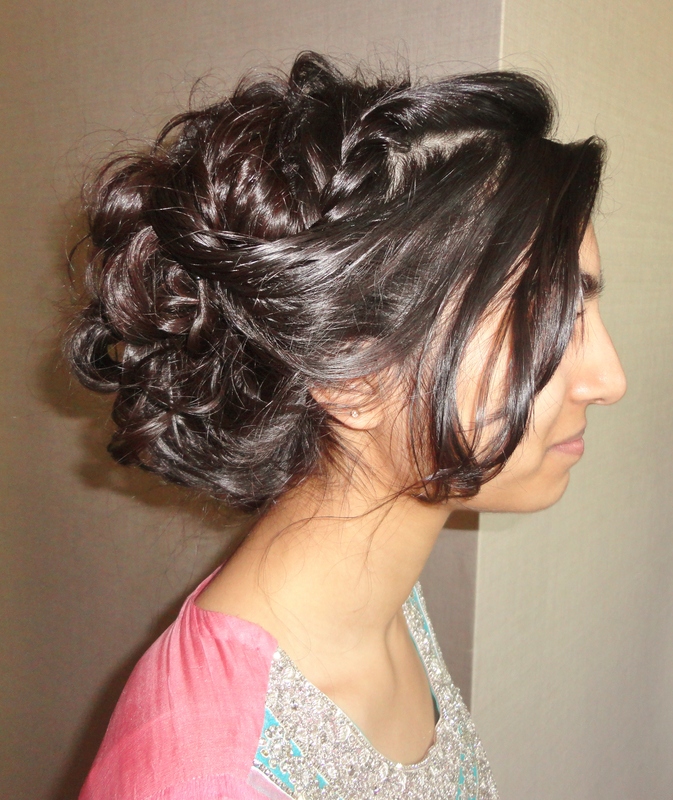 Thanks to Sadaf and Nabihah for choosing me to be a part of such a special day!